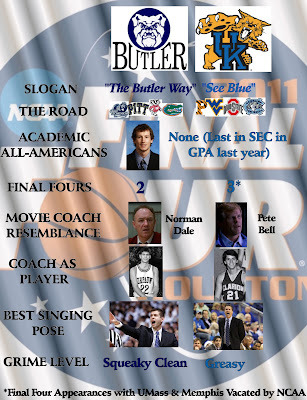 Above is a completely biased, somewhat researched comparison of Butler and Kentucky basketball I made just for fun. Do I expect these two teams to meet in the National Championship? I don't know. 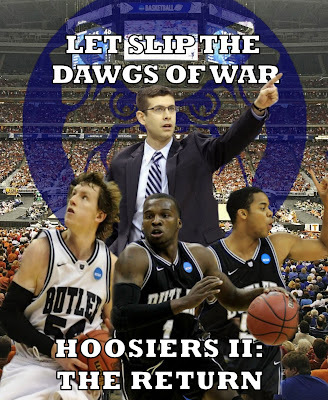 Butler faces a challenge from underdog VCU, while UK faces a blazing-hot UConn squad. I should also point out that the "Final Four" category relates to the COACHES and their Final Fours, not the schools. 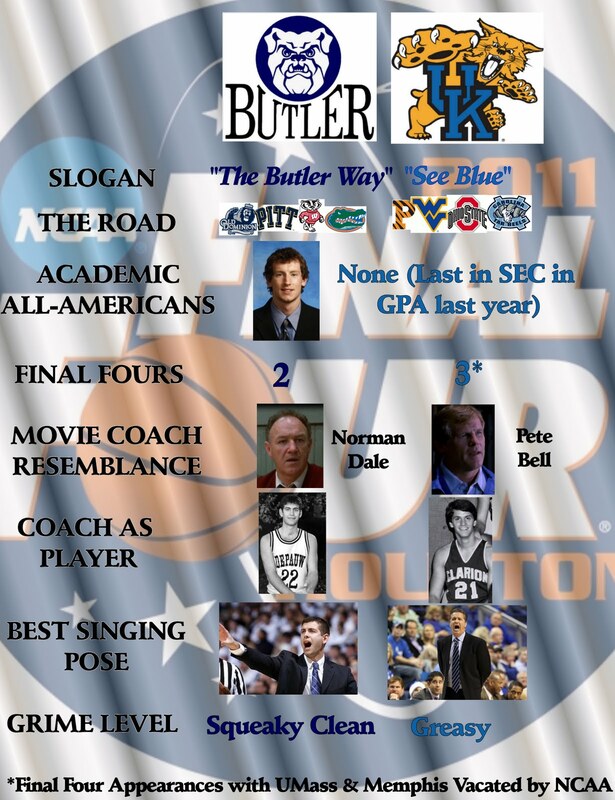 Kentucky boasts 14 Final Four appearances as a program. 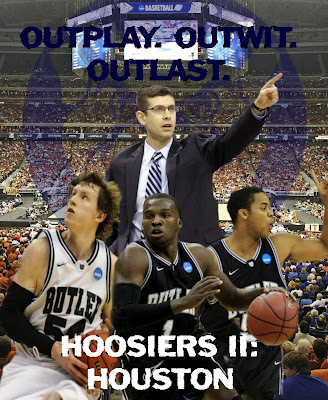 I'm sure proud of this year's Butler team. I thought it would be extremely tough for them to even reach the Sweet Sixteen; the Final Four seemed a pipe dream. I didn't think they'd get back, so they may as well win it all. 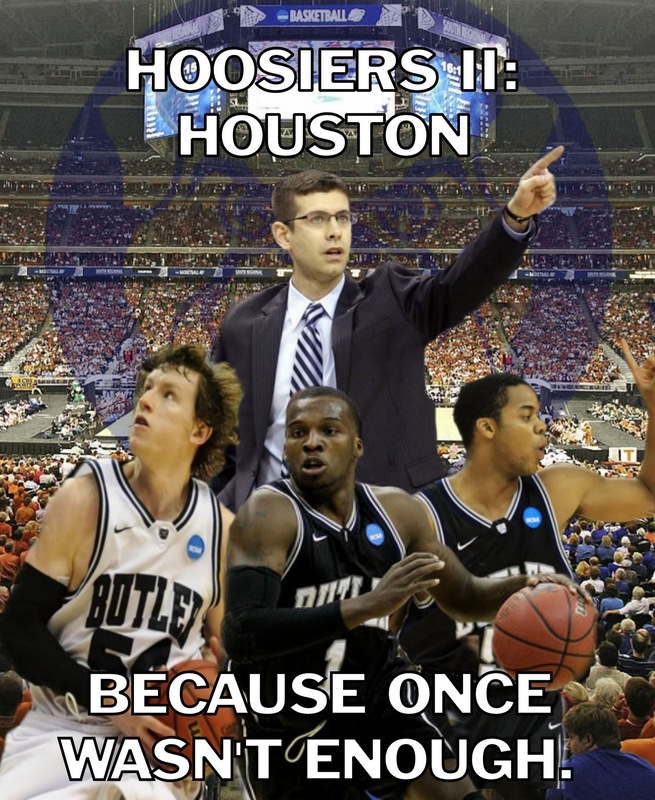 That's pretty amazing, isn't it? In back-to-back seasons, the Butler Bulldogs managed make it all the way to the Final Four. That's an accomplishment ANY school would be proud of, including college basketball royalty like North Carolina, Duke, Kansas, and (pre-Dark Ages) Indiana. Of course, this year VCU is the undisputed sentimental favorite, which means we probably won't see all those fun "Hoosiers" comparisons this time around.